According to Deadline, Christopher Meloni (Wet Hot American Summer, Law & Order: SVU) and Marg Helgenberger (CSI) have joined the cast of Holding Patterns, the “coming of age dramedy” about a guy living at home with his mom and stepdad who has a crush on a girl with “a serious boyfriend.” The main guy will be played Freddie Highmore, with Odeya Rush and Haley Joel Osment playing—we assume—the girl being crushed on and her boyfriend. 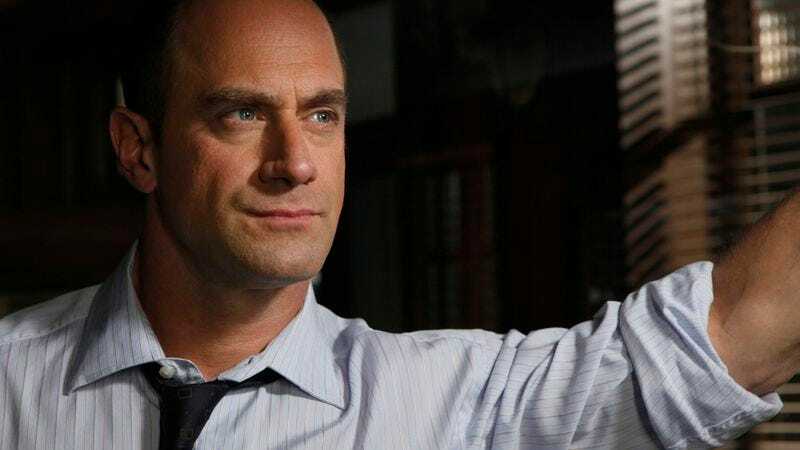 Deadline says Meloni will play “Howard” and Helgenberger will play “’Samantha,’ the main character’s mother.” We assume that means Meloni will play the stepdad, but that’s only because he seems like someone who should be playing a stepdad. Just look at his face. It practically screams, “Hey, I know it’s weird having me around, but I love your mother very much and I don’t plan on going anywhere anytime soon. I’m not trying to replace your real dad, but he died in that mysterious boating accident and I think it would be nice if you and I had a real relationship. What do you say, sport? Wanna come downstairs and eat dinner with your mom and I? She made a casserole! Also, please stop telling your friends that I killed your dad. I didn’t kill your dad.” Yeah, Chris. Sure you didn’t.